Converts Upper case values to lower case. Converts String type data into Integer sub type. mathemetical calculations we need to convert the data. Note: We can’t convert Alfa bytes into Integer sub type or double sub type. Converts String type data into double sub type. It checks data sub type and returns constant based result. It checks length of a string or number. Splits a String based on delimiter, default delimiter is space. Joins all elements of Array variable. It compares two strings based on compare mode. Default compare mode is Binary mode. creats an Automation object in a specified class. What is Computer File System? How end user performs File system Operations? End user performs File system operations manually with the help of Input devices, if it is command line operating system with the help of OS commands. 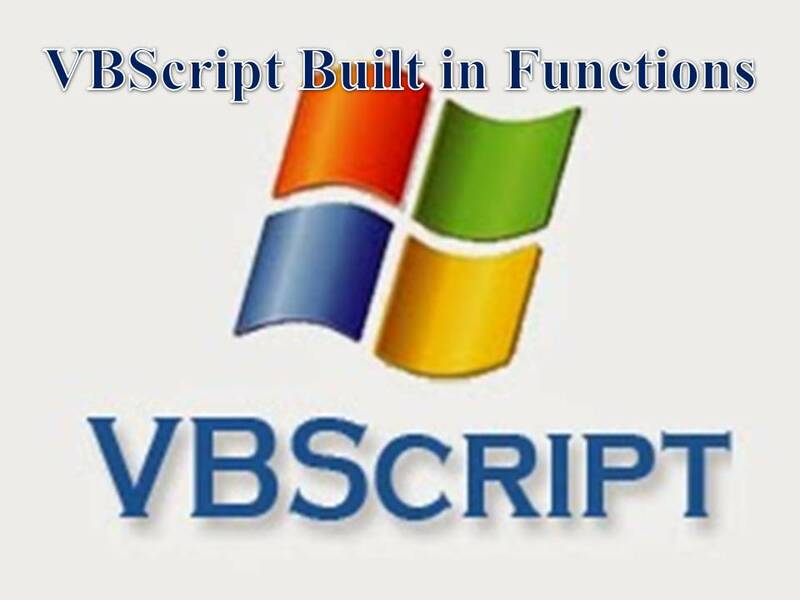 How to perform automatic file system operations in VBScript? Using File system Object we can perform automatic File system operations. Note: Class value only varies from one object model to another. will be released after re-launching the UFT tool. 2) Check the existence of QTP folder, if not exists then create the folder. 5) Check the existence of QTP folder, if exists then delete the folder.